There is always something going on. 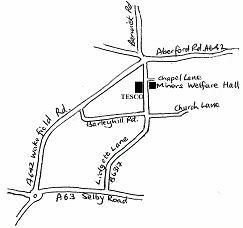 You can support your local Community Association by coming along, or maybe booking the hall or holding an event. It tends to get heavily booked so please book early. Several groups are always looking for volunteers to help - let us know if you could help with scene shifting for the plays. 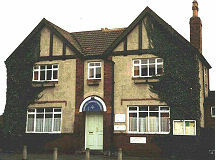 The Miners’ Welfare Hall was erected in 1924 by the Garforth Miners’ Welfare Institute, It was funded by a grant from the Central Miners’ Welfare Committee and the weekly subscriptions of the local miners. The miners worked at the Isabella, Sisters, and Trench collieries, which were owned at that time by the Gascoigne family. Two meeting rooms: the Trench Room (upstairs) capacity approximately 60; and, downstairs, the IsabellaRoom (capacity approximately 35).